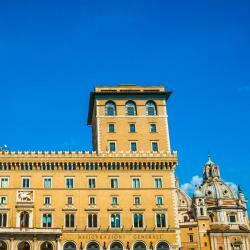 Looking for hotels near Stadio Flaminio? Located 2625 feet from the Auditorium Parco della Musica complex in Rome, Sinfonia sul Tevere offers rooms with free WiFi and air conditioning. It is 5 minutes' drive from the Olympic Stadium. Offering air-conditioned rooms in the Villa Borghese Parioli district of Rome, Guest House Vignola is a 17-minute walk from Auditorium Parco della Musica. Maluma House in Rome provides accommodations with free WiFi, a 17-minute walk from Auditorium Parco della Musica, 1.8 miles from Piazza del Popolo and 2 miles from Stadio Olimpico. Suites Piazza Del Popolo offers elegant rooms with wood floors, free Wi-Fi and flat-screen TVs. 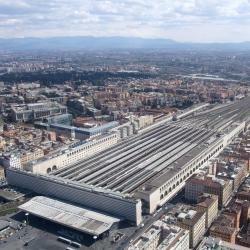 It is in a pleasant neighborhood, 1312 feet from Stadio Flaminio rugby stadium. 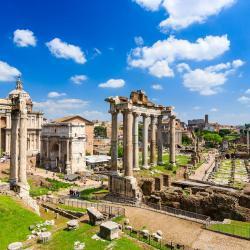 Located in Rome, B&B Roma Olimpic has well-equipped accommodations featuring free WiFi, a 9-minute walk from Auditorium Parco della Musica and 1.7 miles from Stadio Olimpico. Featuring a garden, Piccola Londra has accommodations in Rome with free WiFi and garden views. The property is a 13-minute walk from the Auditorium Parco della Musica. 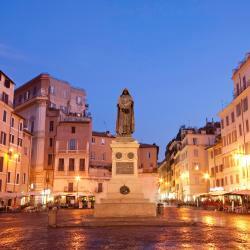 Offering free WiFi throughout, The Tribune Hotel is centrally located in Rome, 1969 feet from Villa Borghese. Guests can enjoy the on-site bar and the Trevi Fountain is just a 15-minute walk away. Everything was amazing! Exceptional service!! Set on 1 of the upper floors of a historic building in Rome's Monti district, Princeps Boutique Hotel offers stylish soundproofed rooms with marble bathrooms and free WiFi. Very good location, nice staff, good breakfast with best crispy bacon! The Artemide is in a 19th-century building on the vibrant Via Nazionale. A free minibar and free Wi-Fi access are available in each of the elegant rooms. Staff were very helpful. Good breakfast. We used the spa which was great. 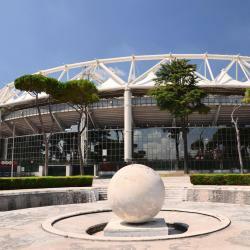 Hotels with great access to Stadio Flaminio! Set a 10-minute walk from St. Peter's Square in Rome, Domus Terenzio offers a garden, free WiFi throughout and elegant accommodations. Castel Sant'Angelo is 2297 feet away. It couldnt be better. This acco was amazing! Parlamento Boutique Hotel is located in the Spagna district in Rome and it is housed in a 17th-century building. 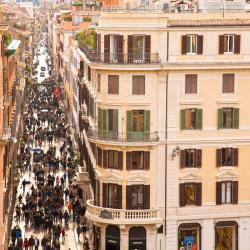 It is 984 feet from Via Condotti and 984 feet from Trevi Fountain. Excellent location, staff and very comfortable accommodations. Located 1312 feet from Villa Borghese’s gardens, Hotel Villa Linneo is a 15-minute walk from Rome’s historic center and Flaminio Metro Stop. It offers classic-style rooms with free Wi-Fi. This is a lovely quiet boutique hotel very near the Borghesi and art museums.